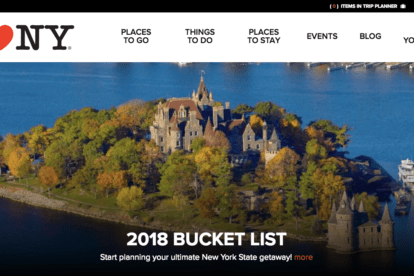 We selected the best independent New York blogs for 2019. Find our local favorites here in alphabetical order! Let’s face it, visiting New York on a budget can sound like an impossible task. But don’t worry, Brokelyn is there to help you! 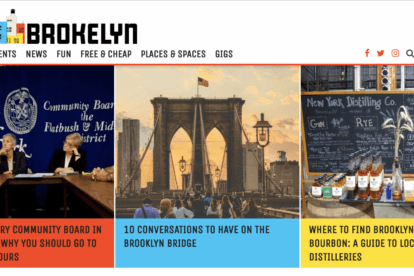 A webmag filled with tips about cheap(er) places to eat, drink or be merry in Brooklyn, it’s the perfect site to check out before your trip. 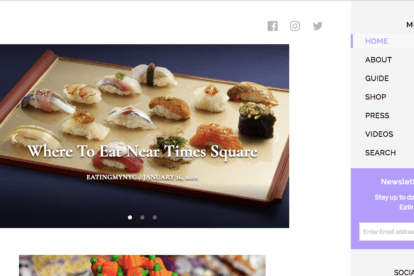 EatingNYC was founded by Alexa in 2014 and is already one of the most influential digital brands in New York. 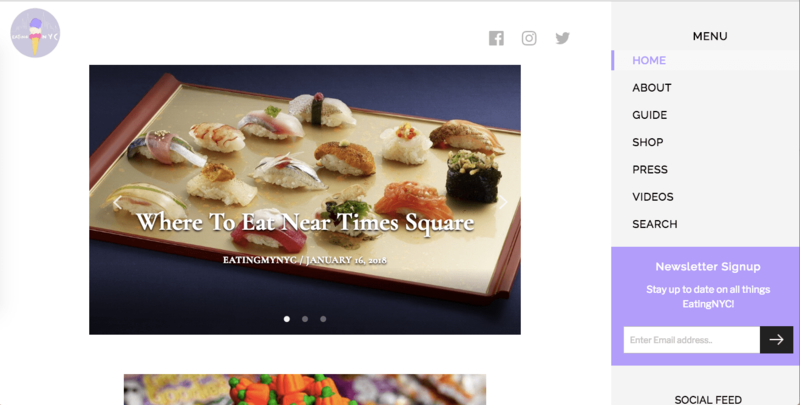 What we love about her blog, besides all the mouthwatering pictures of food, is her restaurant guide! This is literally a map from New York where you can filter on the neighborhood, cuisine, and price range. Ideal for the foodies among us looking to eat only at the best spots. 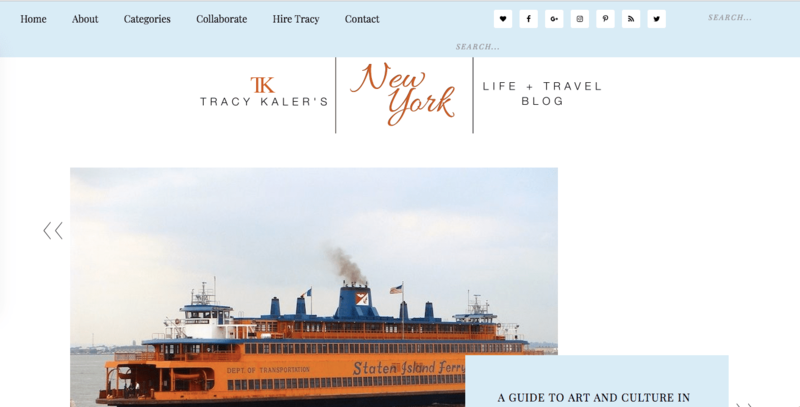 I Love NY is a blog completely dedicated to cool places to go, things to do, and places to stay in New York. 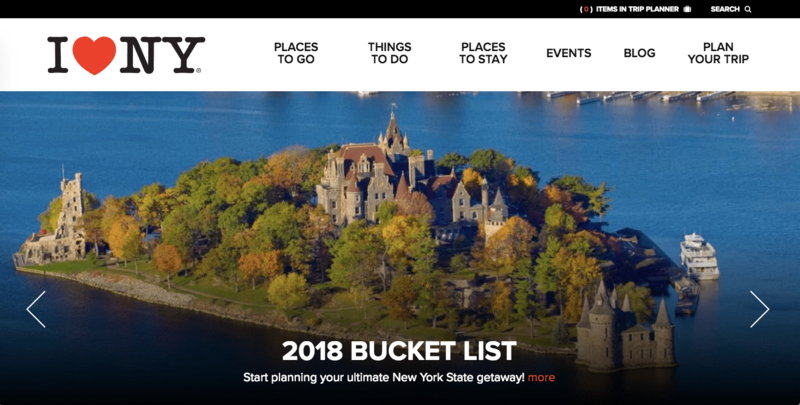 But what we really love about their site are all the practical tips for planning your trip, including an actual planner tool! They try to be inclusive, so they also post about good LGBT spots to visit! 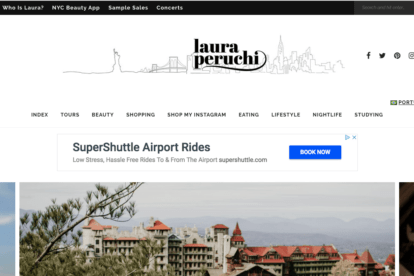 Laura Peruchi moved to New York in 2014, ever since she’s been writing about the city. Lucky for us, because her blog is absolutely wonderful! Filled with tips about where to shop, eat, go out, or even where to follow a cool class, she has it all. We would definitely recommend this blog for the make-up and fashion addicts among you. 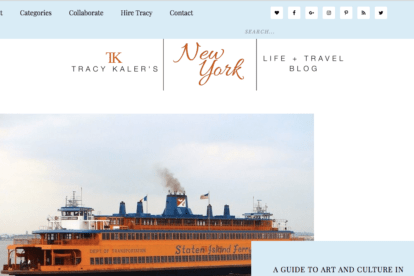 Tracy Kaler’s New York Life was founded by Tracy in 2011 and evolved into the New York lifestyle and travel blog it is today. 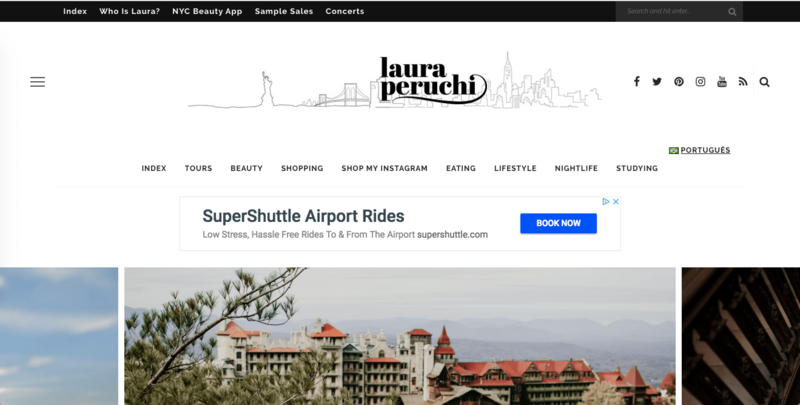 Her aim is to provide her readers with all the insides of the New York life and to give tips about living, food, culture, travel, and more!